Both founders were graduates of the Class of 2015. Build Coffee aims to be more than just a coffee shop, offering small press books and local art for sale, as well as events catered to build a stronger sense of community. Build Coffee, a coffee shop–bookstore hybrid located in Woodlawn’s Experimental Station building, hosted its grand opening on Saturday, June 24. Its co-founders aim for Build to become an engagement hub for the surrounding community. A line of customers snaked out the front door at 61st and Blackstone for the shop’s first five hours of business. Co-founders Bea Malsky and Hannah Nyhart, both graduates of the Class of 2015, worked at the South Side Weekly, a newspaper now based in the same building, when they were undergrads at the University. They joked then that they would one day open a coffee shop together. “We both have very different experiences. [Hannah] is really the coffee person with a lot of barista experience. I have experience working in the publishing industry. I really like small press and I have some event hosting experience. So we had a clear idea of the things we wanted to bring to the shop,” Malsky said. 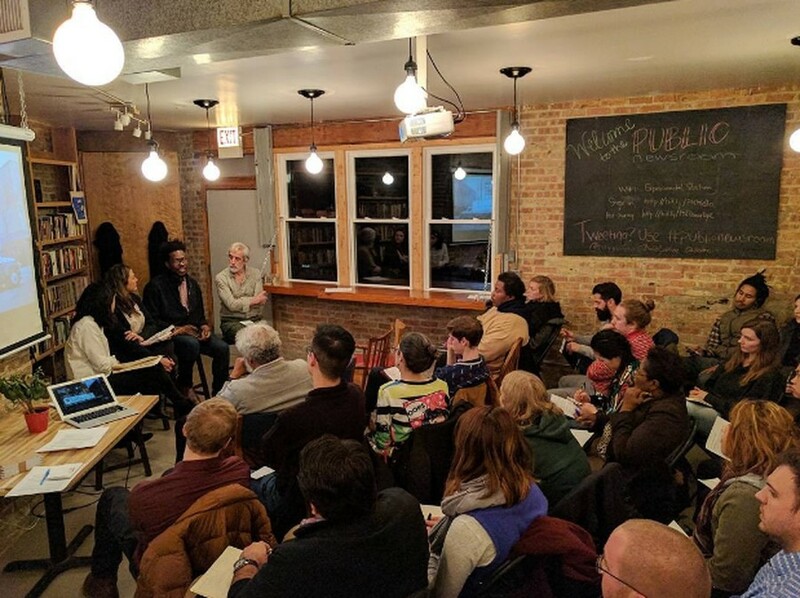 Malsky and Nyhart explained that they founded Build Coffee in response to what they perceived as a need for a communal space within the Experimental Station building for the Hyde Park and Woodlawn communities. In addition to Build, the Experimental Station hosts other community-building projects including the 61st Street Farmers Market, Blackstone Bicycle Works, and City Bureau, a journalism workshop. “I want this space to be a space that a lot of people feel is theirs. I want this place to be the kind of spot where if you have a friend coming into town, you can leave your keys here for them to pick up while you’re at work. That creates a different kind of community within a space, when people feel a fondness and a sense of pride for it,” Nyhart said. “I don’t think it’s a typical landlord-business relationship. They have been very incredibly supportive...we wanted this space to be by, of, and for the community that already existed within this building. The other groups that are within this building have also been huge partners for us,” Nyhart said of the relationship with the Experimental Station and its community. After much deliberation, the idea for the shop’s name came from a friend of the owners, Paul Durica, a former creative writing professor at the University. “There was a solid year during the design process where we had various working titles and didn’t like them much. [Our friend] told us that the Experimental Station used to be called ‘The Building,’ and the name came from there,” Malsky said. To build Build, Malsky and Nyhart relied on the mentorship of Halfwit Coffee Roasters, a Chicago-based coffee company. With Halfwit’s help, they had run an iced coffee stand at the 61st Street Farmers Market the year prior to opening Build. “They have been mentors on everything, from dealing with the coffee itself…to everything else [such as tax paperwork]. We’re pretty young, we’re pretty fresh; I think having real mentors has been huge for us,” Nyhart said. “I want everyone who walks in the door to feel well taken care of, and part of that is establishing a broad constituency,” Nyhart said. Nyhart, the lead barista and proprietor of the shop, took great care in crafting offerings which would cater to regular customers and coffee connoisseurs alike. “I think one of the reasons why coffee shops are such cool spaces is that there’s a cheap ticket in...and you have a reason to be there. I think that’s really valuable, so it was important for us to keep that. I wanted something that my folks would drink, something comforting. [At the same time,] we also wanted to take coffee as a craft seriously, so on the espresso end, we wanted to put out stuff that we were really proud of,” Nyhart said. Nyhart also wants Build to also be a place for novices to learn the art of coffee-making. “I want this to be a place where someone...can [learn] in a community that both takes the craft really seriously and also knows that people will make mistakes [while learning], and will be patient and kind,” Nyhart said. As the bookshop and events manager, Malsky curates the small selection of volumes on the shelves to cater to various interests while keeping a focus on titles from small and local presses. Malsky said that over 600 titles are available for sale, but are also for visitors to pull off the shelf to read while eating or drinking. Malsky and Nyhart seek to make Build a space for the community at large, and not just another coffee shop for University students. They have been deliberate about making their mission clear, both in the aesthetic of the shop and in the events that are in store for the future. Malsky said that the shop plans on rotating the art on its walls every two months, with each collection featuring artists from Woodlawn and the South Side at large. The current exhibition comes from Blackstone Bicycle Works. Among other community-building events, Build is also planning story-time sessions for students from Carnegie Public School, located just steps away from Build, with the intention of offering a healthy and welcoming space afterschool and over the summer. Build Coffee also plans on hosting “performances, workshops, gallery shows, book groups, [and] game nights,” according to their website. Build Coffee is located at 6100 South Blackstone Avenue. Open 8 a.m. to 8 p.m. Monday to Friday, 8 a.m. to 6 p.m. Saturday, closed Sunday.